CivilizationIsraelite, Iron Age II 800 B.C.E. - 600 B.C.E. 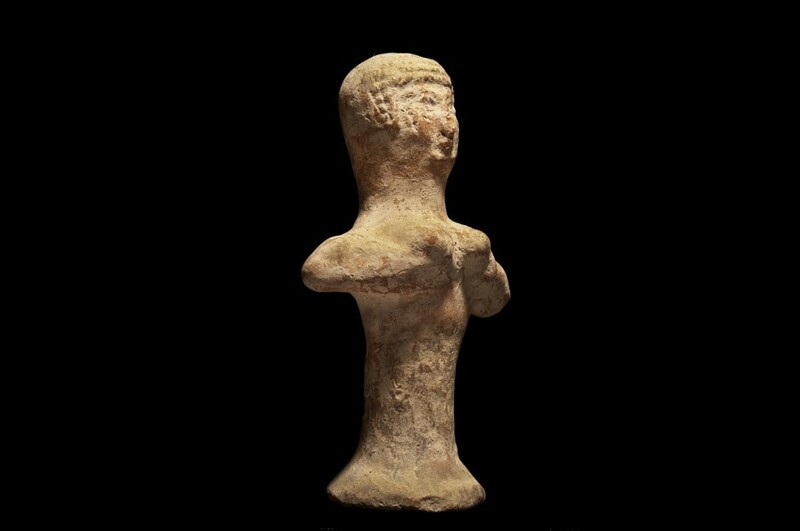 An Israelite Astarte Figurine, The head on this figure was made in mould wearing a wig like headdress, the neck was then inserted into the pillar-shaped body. 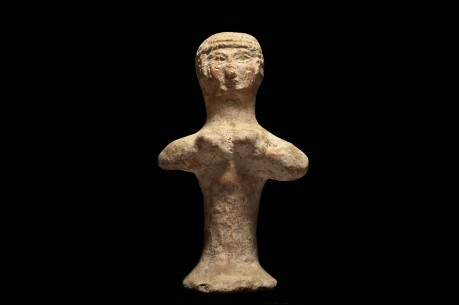 The pillar-shaped body bearing outsized breasts, often supported by hands. There is no doubt that the figurines were considered to have some magical properties and were kept in the household as amulets to enhance fertility.